Haley is a true Renaissance woman! Mechanical engineer, model and musician ... yes, she does it all. We met at the Improve Photography Retreat in Phoenix, and shot a great variety of portraits at The MonOrchid Studio and outside the hotel area. 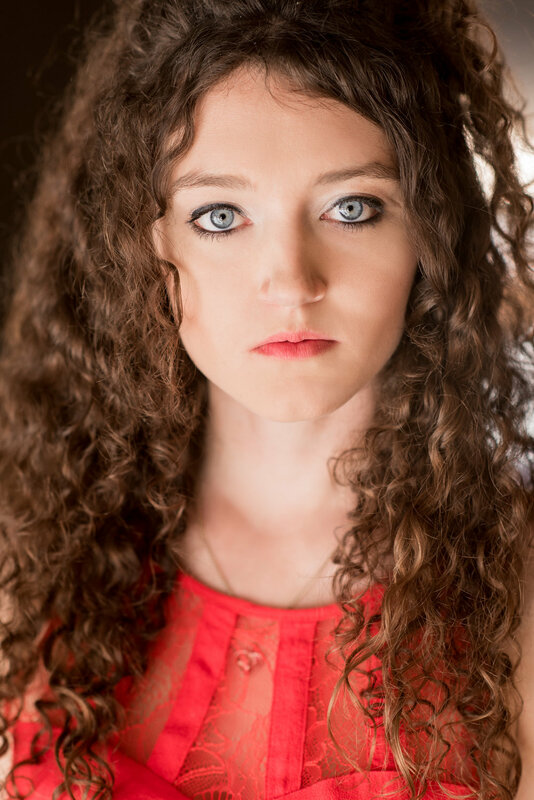 As you will see below, Haley is captivating with those blue eyes and curls, a natural model who has perfected her craft. Just hoping she comes to LA so we can shoot again!